As the holidays are fast approaching, we wanted to take the opportunity to offer some tips about choosing toys and games for your child. Here are some guidelines for how we choose new toys and activities for the clinic. o Does the item appear sturdy? Are there small pieces to break off and get lost? If they do break off and get lost, can the toy still be used? 2. Can it be used in multiple ways? o Does the toy lend itself to multiple options for play? For example, bean bags can be used for target games, scavenger hunts, hopscotch and more. Jump ropes can be used by one person or a group people, be turned into a wiggly snake, or be used as a boundary line. 3. Does it appeal to a wide age range? o Is the product going to be used for a month and tossed aside by a young child who is quickly developing new skills? 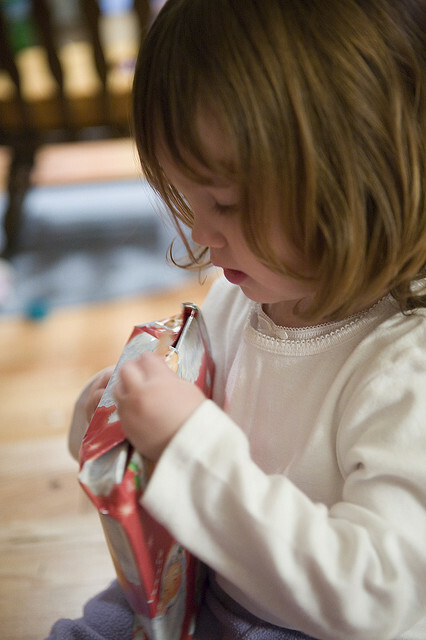 Can the item “grow” with your child by adjusting the height or the complexity of the task? o For example, try musical instruments which provide opportunity to practice motor coordination while exploring auditory and tactile input, as opposed to items which play music and have blinking lights after simply pressing a button. 5. Can it travel easily? o Wiki sticks, Play Doh and travel sized board games can provide structure while waiting at a restaurant or at a sibling’s sports practice. 6. Does it allow the child to create their own play schemes? o Matchbox cars or barn play sets allow the child to come up with their own ideas for play. Baby dolls or other toys that “talk” may direct the play time for your child. How much sleep does my child need? Here are some general guidelines for the amount of sleep children should be getting. What are some signs my child is not getting enough sleep? Decreased attentiveness and alertness during the day. Frequently falling asleep during the day outside of normal napping hours, or frequently falling asleep during the day after naps are no longer part of the daily routine. Taking more than 30 minutes to fall asleep at night. 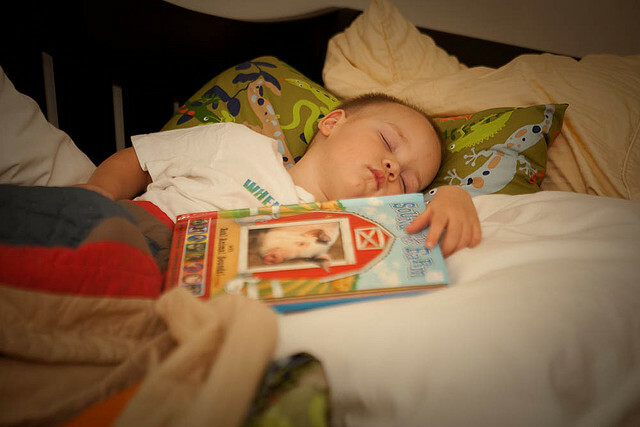 How can I help my child improve their sleep patterns? Studies have shown that children (and adults) who watch TV, play video games or use other electronics before bed took a longer time to fall asleep than those who avoided screen time. It’s always easier said than done, but try to avoid screen time 1-2 hours before bedtime. Dim the lights. Turn off some of the lights or use table lamps in the 30 minutes before bed. Create a bedtime routine that can be completed in 30 minutes or less. Give your child some control over the routine, such as choosing a book to read or what PJs to wear. Provide calming and organizing sensory input. Taking a bath, getting a lotion massage, or providing deep pressure via “pillow squishes” can help a child with a high arousal level transition to sleep. To safely do pillow squishes, have your child lay on a solid but comfortable surface on their belly. With a couch cushion, large body pillow or several smaller pillows, provide firm pressure to their back, arms and legs for the duration your child desires. Always be sure his face is not covered and his breathing is not impeded. Some children benefit from a supplement called Melatonin. If your child is still having sleep difficulties after trying bedtime routines and sensory strategies, you may wish to discuss potential use of Melatonin with your pediatrician. Together We Will is an annual conference focusing on children ages birth to 5, especially those with developmental delays. Center for Pediatric Therapy will be hosting an information table at this event. Location: Crowne Plaza Hotel, Cromwell, CT. Please note, the conference brochure states the registration deadline is March 29, 2013. After this date, registration applications will be accepted as space permits. This conference includes keynote speaker Maurice Sykes, Director Early Childhood Leadership Institute, University of the District of Columbia , who will present “Learning to Play and Playing to Learn in the Era of Common Core”. Additional sessions will be run by professionals and experts from around the country. Come visit Center for Pediatric Therapy at our information table in the exhibition area. Hope to see you there! 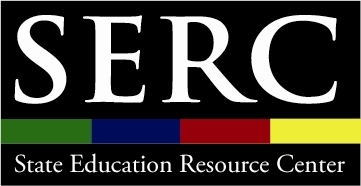 For registration and details,click here for the SERC Website.